HOUSTON (KTRK) -- After years of legal maneuvering, bribery and money laundering allegations against a former Houston Independent School District trustee will finally be heard by a jury this fall. A federal judge on Thursday said that the civil trial of Gil Ramirez Group v HISD will begin October 24. The plaintiff, Gil Ramirez Group, lost a construction contract with HISD and filed a lawsuit filed in 2010 alleging it was because they failed to pay a bribe to Marshall -- at the time the district's most-tenured trustee. Marshall admitted in depositions that his campaign treasurer Joyce Moss Clay had business relationships with companies seeking HISD contracts. Clay, in turn, admitted she had given a Marshall-owned consulting firm some of the proceeds from those companies. The district's lawyer previously told abc13 there was never a bribery or pay-to-play scheme at HISD. Among the court filings are accusations that a $25,000 check Marshall received in 2009 from David "Pete" Medford, who runs Fort Bend Mechanical, was a bribe. Marshall did not report the donation as a contribution in his campaign finance forms, records show. At least $45,500 in checks from Medford to Marshall exist, according to claims in court documents. Fort Bend Mechanical is an HVAC service and installation company that competes with The Gil Ramirez Group for HISD work, and has done millions of dollars of business with the school district. Michael McGann, a Houston lawyer who is representing Fort Bend Mechanical, has said any assertion that Medford bribed Marshall is "absolutely not true." In court documents, Marshall has admitted he was under FBI investigation, but no criminal charges have been filed against Marshall, or anyone in connection with the case. In 2013, the federal courts dismissed claims against HISD itself, but let them continue against Marshall, his campaign treasurer and contractors who allegedly paid Marshall or his treasurer. The school district, however, continues to pay former Trustee Marshall's defense costs. The district may also pay any damages if Marshall loses in court later this year. It has already cost the district well over a million dollars. That amounts to the salaries of at least 19 teachers, who could be hired at $51,500, the starting rung annual pay at HISD. Chad Dunn, the attorney for Gil Ramirez the losing contractor who filed the case, told abc13 he plans to tell a jury about HISD's past connecting it to current issues involving the district's now-suspended internal auditor, Richard Patton. 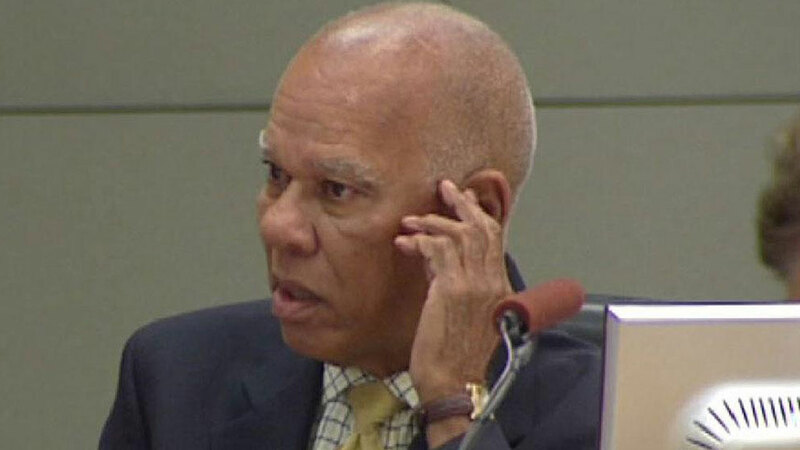 Patton was suspended in March, months after he questioned top district officials' rationale behind the HISD's massive $211 million bond shortfall and days after he spoke with the FBI, according to records and interviews. Patton has filed a formal grievance with the school board, saying he suspended for the flimsiest of excuses: Scanning a few personal papers at work, an act perfectly legal, according to board policy. "The recent events at HISD demonstrate that irregularities in the award of valuable contracts is systemic," Dunn said in a statement. "We look forward to presenting to the jury a full picture of the recent history of contracting at HISD during the trial starting October 24." Rick Morris, Marshall's attorney, has not returned a request for comment. Ted Oberg Investigates will update this report when Morris responds.